This is a free version of our regular linking policy. It has been created for website operators who want to set out, in detail, their policies relating to hyperlinking. The default provisions state a website's policies in relation to both links form the website and incoming links. 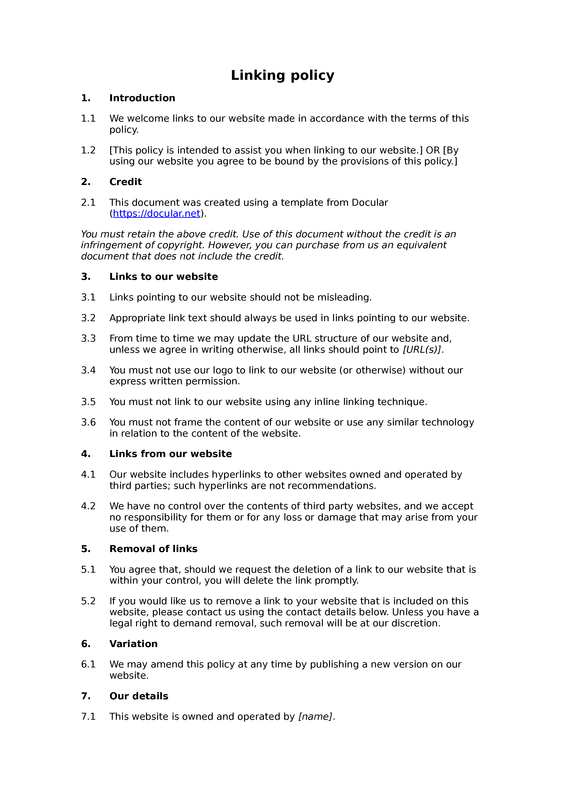 This type of legal notice is relatively unusual, but may nonetheless be useful in respect of some types of website. 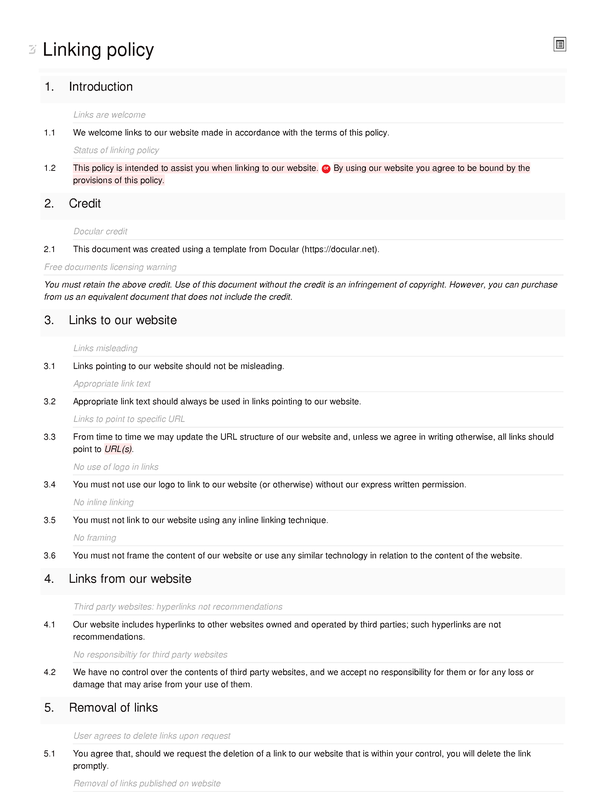 NB There is some cross-over between the content of this document, and the treatment of user-provided content in many of our T&Cs of use for websites.